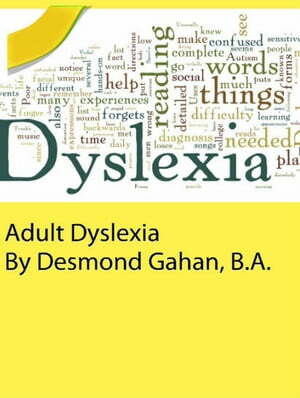 Collins Booksellers - Adult Dyslexia by Desmond Gahan, 9781386089728. Buy this book online. Becomes frustrated at “planning meetings” and sequential tasks – already has the answer and how to do it. Has difficulty focusing and staying on task – may feel more comfortable managing many different tasks simultaneously.